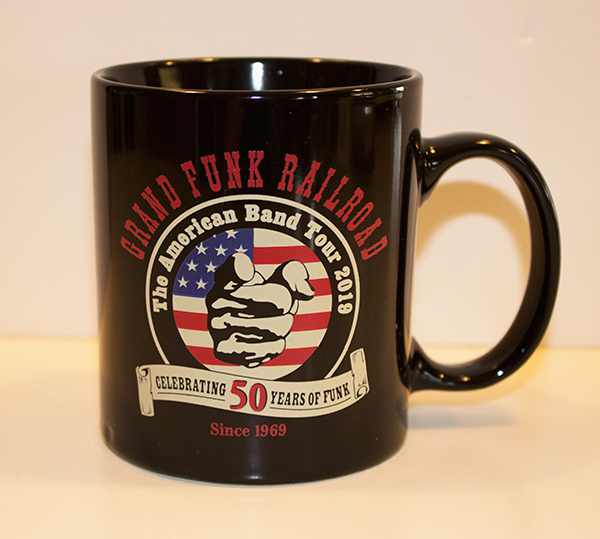 Our Limited Edition Grand Funk Railroad "50 Years of Funk" 11 ounce black ceramic coffee mug has the beautiful "50 Years of Funk" logo on one side. Please note that the supplier of this mug strongly recommends only hand washing it. This will ensure the logo stays in good condition for many years to come.